With summer in full swing, the days are longer, the sun hotter, and the threat from the sun’s damaging ultraviolet rays, greater. The Eye Center and the American Academy of Ophthalmology warns that excess sun exposure can put you at risk of serious short-term and long-term eye problems. Seeing the light. How does my eye work? This is a fun question that people are often interested in. One of the most common analogies used is that of a camera. The choice of the correct intraocular lens (IOL) is a critical step that completes the elegance and spectacular results offered by modern cataract surgery. 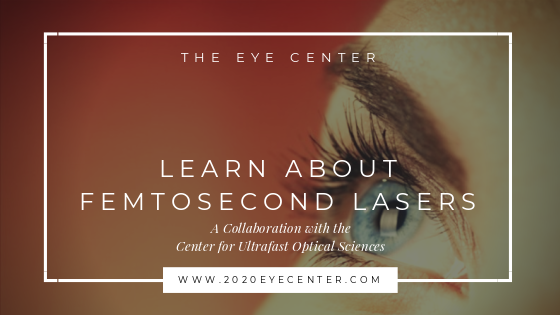 The use of femtosecond lasers has proven to be a very powerful and versatile tool in the area of ophthalmic surgery.